1% cash back on all purchases. 2% cash back on grocery store purchases. 3% on gas station purchases. The 2% cash back on grocery store purchases and 3% cash back on gas purchases applies to $1,500 in combined purchases in these categories each quarter. After that, the base 1% earn rate applies to those purchases. Rewards are automatic and do not expire. 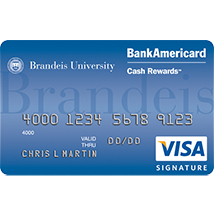 There's no need to register your card or sign up to earn your cash rewards. 15.99% to 24.99%, based on your creditworthiness when you open your account, for direct deposit and check cash advances, and 24.99% for bank cash advances. 0% Introductory APR for the first 12 statement closing dates following the opening of your account. After that, your APR will be 12.99% to 22.99%, based on your creditworthiness when you open your account. This APR will vary with the market based on the Prime Rate. For all contact information, click here and select your state.